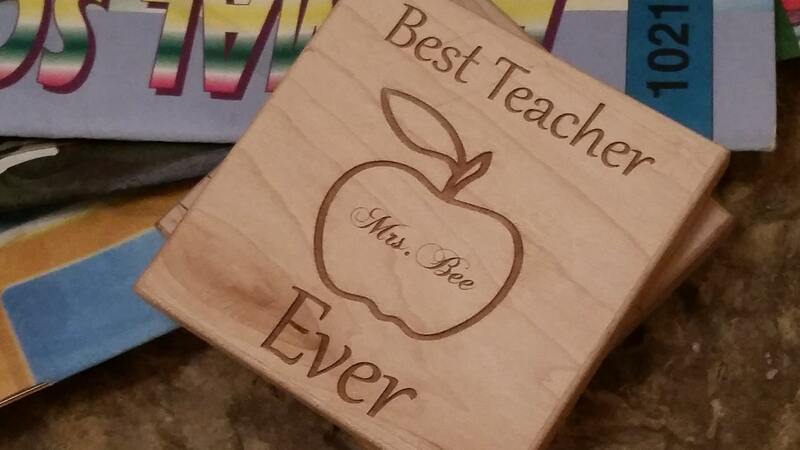 Looking for the perfect personalized gift for your favorite teacher? 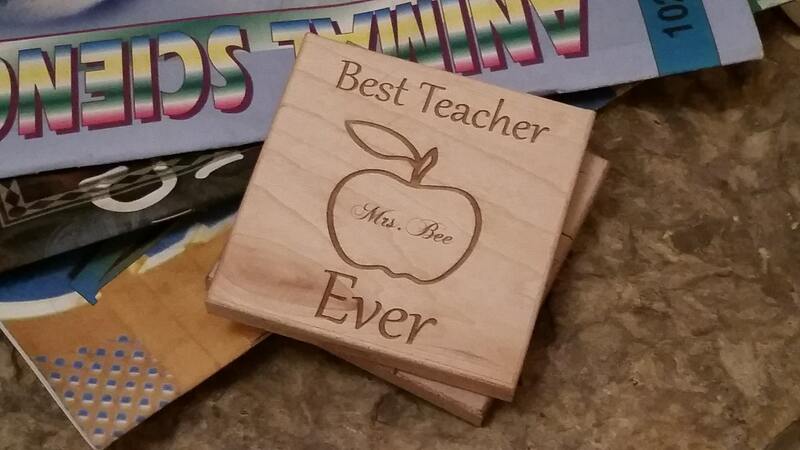 Our hand crafted and designed solid wood coasters, are engraved by us with an apple and the teachers name in the middle. On the outside of the apple we have " Best Teacher Ever"